A brilliant retelling of the Arthurian legend filled with creative twists and complex layers that kept me turning pages. Definitely a must-read for Sci/Fi & Fantasy fans! It very much reminded me of Arthur meets Atlantis, but that is where the similarities ended. As the tale unfolded, I couldn’t help devouring chapter after chapter as the compelling characters and intricate plot drew me in and then tugged me along, calling for me to keep up when I was forced to lay the book down. An absolutely spellbinding, mesmerizing reiteration of a classic story that should not be missed! http://amzn.to/1UdlhE5 And on all the Amazons, plus Kobo, Nook and iTunes. Only 99c for an epic-sized science fantasy. This entry was posted in C.N.Lesley, dystopia, excalibur, farfuture, kingarthur, merlin, sciencefantasy, Shadow Over Avalon, telepathy and tagged book, C.N.Lesley, Excalibur, far future., King Arthur, Merlin, science fiction, Shadow Over Avalon on September 5, 2016 by cnlesley. Since this book scored #17 on the Amazon.com bestsellers list for Arthurian yesterday I thought I would share the latest review on the book from that site. Shadow Over Avalon combines two genres that I don’t read a lot: science fiction and fantasy. It’s a new, fascinating spin on the Arthurian legend, and I was eager to begin reading. I’m delighted with the book. It has vivid descriptions, well-developed characters, a rich plot that flows nicely, and enough tension building to keep the reader turning pages. My favorite aspect of the book is how, in the underwater world of Avalon, the “blue sky” is the seawater. The cliffhanger left me wanting more, and I will definitely be reading the series. This entry was posted in arthurian, Uncategorized and tagged books, C.N.Lesley, dystopia, Excalibur, fantasy, far future., King Arthur, Merlin, science fantasy, Shadow Over Avalon on August 13, 2016 by cnlesley. Woo Hoo. Another great five star review of Sword of Shadows. The world created by the author for ‘Sword of Shadows’ is a fascinating place. Well imagined and thoroughly described. For me it was a slow read because there is a lot to appreciate and absorb. Characters are strongly developed and relationships are compelling. This is the second book in a series, which unfolds a new take on the King Arthur myth/legend including an new take on Excalibur & Merlin. As I read, I was reminded of the ‘Lord of the Rings’ and I enjoyed them as well. It is a complex book with numerous characters, plenty of interweaving story arcs, and amazing plot layers that kept me on my toes. I liked the idea the enemy is not a simple one-dimensional baddy. Instead, they are intelligent and fascinating in their own right. I would have enjoyed this book more if I’d read the first book in the series. In fact, I went to the Amazon ‘Look Inside’ feature for the first book (Shadow Over Avalon), and read the first three chapters to get a quicker feel for the world. If there is a third book, I would certainly buy it to find out what happens next in this world. If you enjoy a rich mixture of mystery, Arthurian mythology, science fantasy, suspense, and immersion in another world, I recommend this book. This entry was posted in arthurian, Uncategorized and tagged avalon, books, C.N.Lesley, Excalibur, fantasy, King Arthur, Merlin, science fantasy, science fiction, Shadow Over Avalon on July 24, 2016 by cnlesley. http://bookShow.me/B00GAN6HMG and it is only 99c at the moment. Steal of a Deal. And here is the link for those 23 books. This entry was posted in arthurian, avalon, C.N.Lesley, excalibur, farfuture, kingarthur, sciencefantasy, sciencefiction, Shadow Over Avalon, telepathy, Uncategorized and tagged avalon, books, C.N.Lesley, dystopia, Excalibur, King Arthur, Merlin, science fantasy, science fiction, Shadow Over Avalon on February 11, 2016 by cnlesley. ‘Shadow Over Avalon’ is a science fiction novel which has the feel of being a heroic fantasy novel. This blend works very well. It is the first volume in a series of novels, and it sets a hugely impressive standard for the others to live up to. Many of the characters in the novel are named after figures from Arthurian legend, and it is hinted that Arthur – and presumably others – are in fact those same people, reborn in the latest of a long line of new lives. There are Ector, Uther, Kai, Morgan at the least mentioned in this first volume. Cleverly, a semblance of their relationships is retained and they are true to their characters, but this is not a tired ‘drag and drop’ operation; the lives they lead in this future world are wholly new and fresh. The world is a large and breathtaking one, with a technologically advanced city home to a partially amphibious species of evolved humanity beneath the seas, whilst the still mammalian terran humans on the surface endure a harsh existence in feudal conditions. Both are prey to the powerful and inhuman Nestines. The exact nature of the world and its politics, together with its history, is revealed piece by fascinating piece as the book progresses. Arthur features largely in the novel, but he is not actually the main character, at least not for much of this first book in the series. That honour belongs to a strange woman called Shadow, who becomes the link between the terran and submarine humans. Her story is a dark and tragic one, but also full of courage. There are some really exceptional characters in the novel and some very bleak and threatening situations. It really gets under your skin. I don’t want to give plot spoilers, but some of the twists and turns are quite insidious. The writing is evocative and assured. For example, the description of the priests is very brief, but succeeds in bringing a sense of revulsion. The story and its environments are very easy to visualise whilst still being fantastic in scope. The best new fantasy series I have picked up in years. This entry was posted in Shadow Over Avalon, Uncategorized and tagged 99c, books, C.N.Lesley, dystopia, Excalibur, fantasy, King Arthur, Merlin, science fantasy, Shadow Over Avalon on January 31, 2016 by cnlesley. Was King Arthur fair or dark? Historically, going right back to the first legends, he was a Welsh prince and that means a Celt, who were dark. 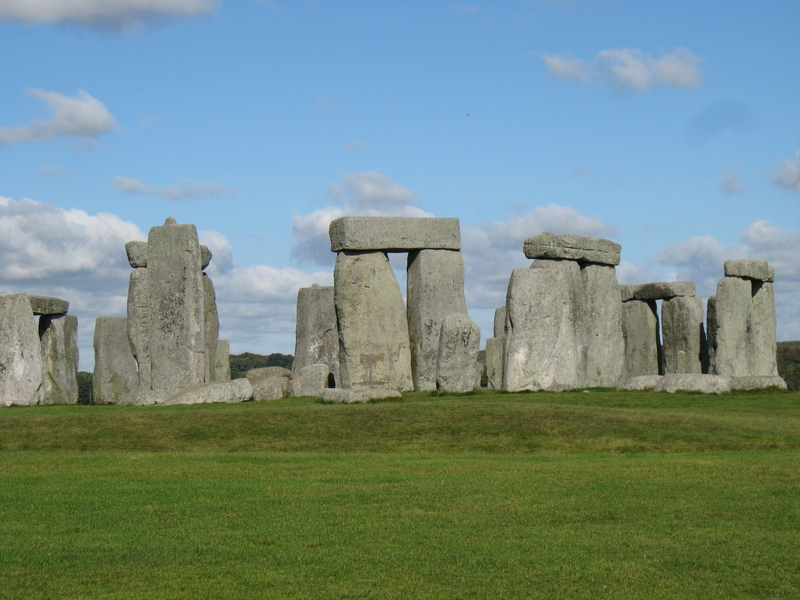 Anglo Saxons, Jutes, Danes and other Viking type invaders tended to settle on the East coast of England, while the legends firmly pin Arthur to a Western position. But that is just my guess. This entry was posted in Uncategorized and tagged avalon, Excalibur, King Arthur, Merlin on March 14, 2015 by cnlesley. Finally got my books. I have no idea what happened to the first box, sent before xmas, but these got here safe. 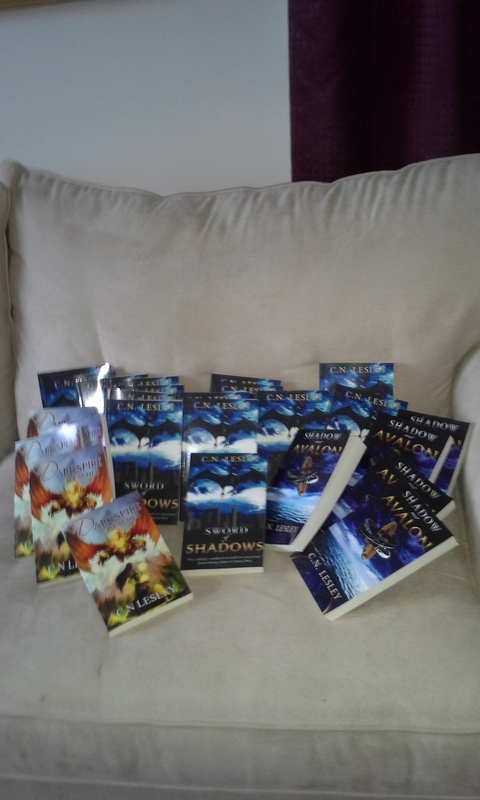 If anyone would like to buy a signed copy off me, I have the first two books of the Shadow Series, Shadow Over Avalon and Sword of Shadows and the first book of the Wyvern series, Darkspire Reaches. I am shipping the first few off tomorrow. If anyone would like all three books, I will include a postcard of Darkspire Reaches and Shadow Over Avalon. This entry was posted in Uncategorized and tagged Arthurian, avalon, books, C.N.Lesley, dark fantasy, dark romance, darkpiire reaches, Darkspire Reaches. science fantasy, dragons, dystopia, Excalibur, Merlin, Shadow Over Avalon, signed copy., Sword of Shadows on January 30, 2015 by cnlesley.